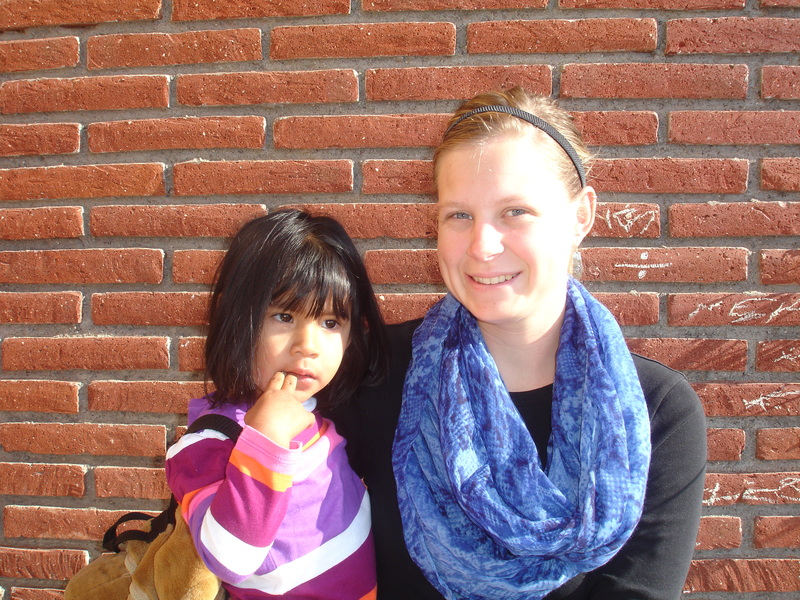 Last week a young lady at FFHM’s home for needy children here in Oaxaca,Mexico, gave a wonderful devotion. Her name is Annie, she has a degree in psychology, and takes care of the nursery kids. As we go through life we come across things that don’t make sense, that throw us for a loop, that make us crazy. Annie said that when we experience these events or ideas that seem strange to us, we experience cognitive dissonance. Basically we don’t know what to make of a certain situation or seemingly bizarre concept. Annie talked about what people normally do when confronted with cognitive dissonance. Most people ignore it as best they can. Others get angry or sometimes depressed. Annie suggested that we as Christians should “chew” on the issue. We should meditate biblically and pray about things, ideas and concepts that go against what we conceive as normal or accepted behavior, rather than dismiss them outright. She gave an example of a visit that she made to India. She experienced cognitive dissonance when she saw a little girl sleeping by the side of a road at night clad only in ragged clothes and covered with a small, threadbare blanket. Her mind couldn’t comprehend or deal with such a situation, so she turned her attention to some sleeping puppies on the other side of the road. That she could understand, accept and deal with mentally. We all run into the brick wall of cognitive dissonance at various times in our lives, and, the truth be told, we too, turn our vision in another direction. We normally like to do things and think about things that are easy and within our comfort zone. We really don’t like to be stretched. Being stretched can hurt. I recently had my own battle with cognitive dissonance. There is a prison across the street from the children’s mission where I serve God. I have been going there for years teaching English and sharing about God. About a month ago I received a request from the director of the psychiatric ward at the prison. He wanted me to come and teach English to the criminals with psychological problems. My first thought was that it would be crazy to try and teach English to crazy criminals. But then I prayed about. I meditated on the idea. I chewed on it. God seemed to say that these prisoners are people that he loved and died for. These are people created in his image, no matter what the Fall has turned them into and they need to be shown love as well. Besides, you have been teaching Jr. High kids English for the past few months and this couldn’t be any worse. So I went with our mission pastor, Enrique, to the prison to meet with the social worker in charge of the psychiatric ward. She had all the prisoners gather on the basketball court, and I invited them to come to English class the following week. Twenty-six men signed up. The following Tuesday sixteen of them actually showed up, eager to learn English. It went great. They all paid attention and when I asked them if they wanted homework, they all shouted “Yes!” How different from my Jr. Highers. Most of them appeared as normal as you or me. If you met one on the street and spoke Spanish and had a chat with one of them, you would probably never guess they were in prison, let alone in a psych ward. The mission Pastor, Aaron, had ministered to a few of them and found that many that he talked to were recovering drug addicts, and that is why they were in that part of the prison. What kind of “cognitive dissonance” is staring you in the face? What situation or idea that seems insane to you has reared its ugly head? Before you dismiss it outright, or blow your top, why not chew on it awhile, and you just might hear a still small voice encouraging you to accept it as a gracious gift from God that will help you grow in your relationship with God and with man.